What can I do to be more productive at work? How do you make yourself more productive? Now that minimalism is the hot new thing, people are asking how they can apply the “less is more” mentality to every aspect of their lives – not just their belongings, but also their relationships, their commitments, and their time management. The question is – can doing less really help you be more productive? My high school chemistry teacher would say “absolutely”. She really drilled one of her favorite sayings into our heads. Every time she’d give us a homework tip, she’d remind us to “work smarter, not harder”. In other words, to focus on how we could use clever shortcuts to work effectively and efficiently instead of wasting our precious time. 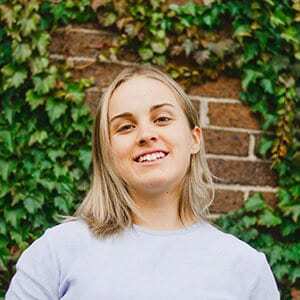 At that point in my life, I hadn’t quite grasped this concept and was still struggling with how to manage my perfectionism, but she definitely planted a seed that led me to later explore how doing less could actually improve my life and help me be to be more productive. I’ve since gotten so much better at simplifying my life and analyzing what truly deserves my focus and energy. The fact that eliminating habits and commitments can actually add more to your life never ceases to amaze me, and I wanted to share some of the practices that have worked for me. 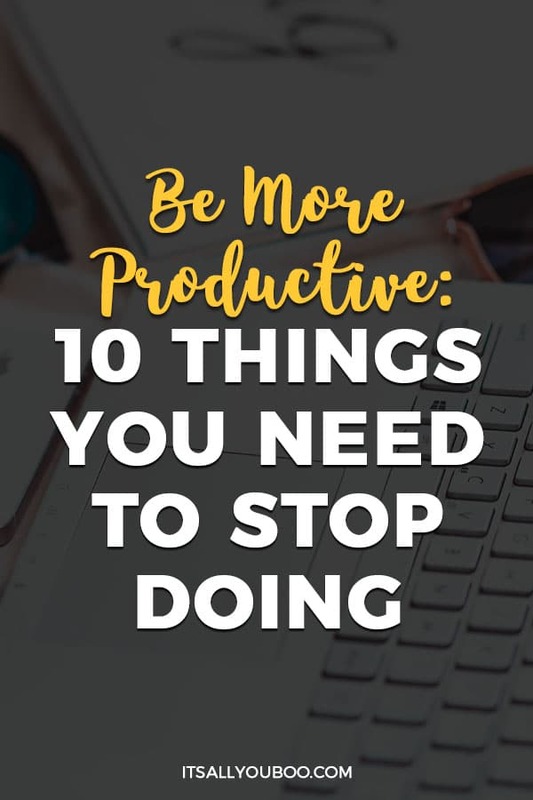 Here are ten things that you need to stop doing in order to be more productive. These days, most people are drowning in a bottomless inbox, in which emails seem to pop up every minute of every day. But what may seem like a harmless 5-minute reply might actually cost you a full half hour. According to The New York Times, because the average time it takes to refocus after an interruption is a stunning 25 minutes. When you factor in the hidden time cost of interruptions, it’s easy to see how a “quick email” here and there can actually swallow up your entire day. If you want to be more productive at work, you’ll simply have to stop being constantly available. Try pausing your inbox with a tool like Boomerang and setting aside a dedicated slot of time to get through a bunch of emails in one go. This is called task batching. It basically means that you group similar tasks together in order to get them done more efficiently, and it can be applied to so many different aspects of your life. If your new task batching superpowers are met with resistance from colleagues, let them know why you’re doing this (you can share this article with them!) and offer your phone number as a way to be reached in a true emergency. Simply put, the more you can condense your e-mail time, the more efficient you can be, the better the outcome for everyone involved. You might have been lectured on the value of “hard work” when you were younger, but I would argue that there’s actually more value in how you rest. Working for long stretches of time in an attempt to be more productive leaves you fatigued and impairs your focus and creativity. I’m sure you’ve experienced this scenario: You’ve been glued to your computer screen for hours. You’re not entirely sure but you think you’ve re-read the same sentence five times. Your mind struggles to come up with the right words and everything just seems to be moving so… slowly. In this situation, the best thing to do is to drop everything for a few minutes. It’s important to remember that stepping away from your work is not a waste of time. Far from it, actually. Short, regularly spaced breaks give your brain a chance to rest and process through the information you’ve been dealing with, thus helping you be more productive when you return to work. 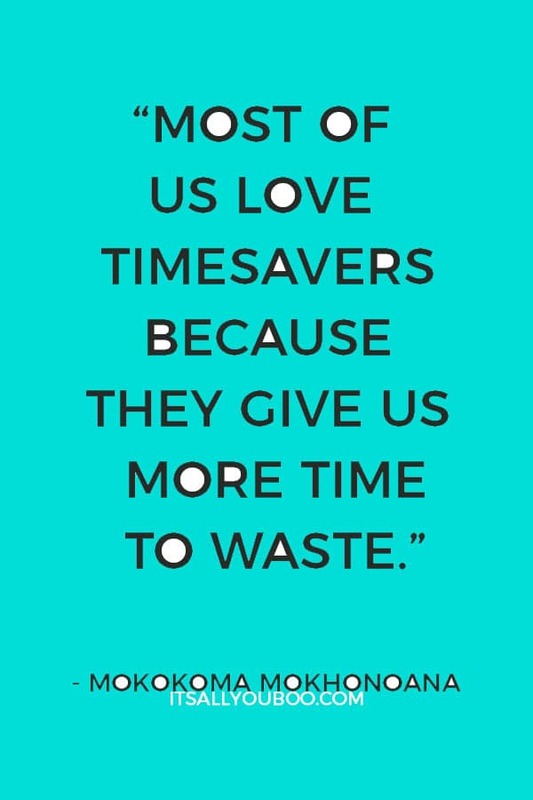 To put this to practice, try implementing the Pomodoro technique. This simple method, developed by Francesco Cirillo when he was a college student, involves using a timer to alternate 25-minute chunks of work time with 5-minute breaks. The original template allows for a longer break after four chunks of work time, but you do you! Set up a structure that works for you. The important thing to remember is that you should use your break to clear your mind. Move around, get some fresh air, drink water, and let your thoughts wander. You may be tempted to get started on another task, but you should savor your break to maximize its benefits. In the early grades of school, your teachers might have praised you for starting assignments as soon as they were received. 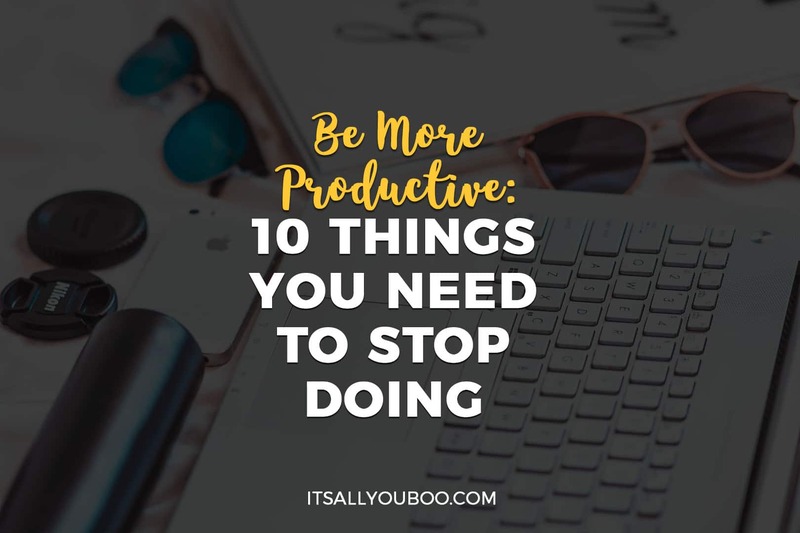 While there’s definitely value in getting a headstart, in the busy adult world, constantly shifting your focus to respond to new tasks as they arise might actually be harming your productivity. The next time someone drops some assignment on your desk, resist the urge to shuffle your entire to-do list to make time for this new thing (no matter how exciting or urgent it may seem). Instead, take a minute to decide when you will be able to most effectively complete this task. For example, let’s say someone just told you to write a blog post by the end of the day, and you were already planning on writing a newsletter this afternoon. You remember the concept of task batching and realize that you can get all of that writing done faster if you do it all in one sitting. Since you’re now a productivity boss, you decide that instead of letting that blog post interrupt whatever you were working on at the time, you’ll schedule it for later. That person might not be thrilled that you’re putting off their work until later, so you might need to do some convincing. Explain to them that if you do the task a little later, you’ll be in a better state of mind, produce higher quality work, and still get the work done by the deadline. How could anyone say no to that? Remember, you have to advocate for your productivity. One of the worst things you can do when you’re swamped and in the middle of a busy week is to push through your fatigue and force yourself to stay up into the wee hours of the night to get your work done. Now, if you’re a night owl and you just happen to work better late at night, that’s all good. But if you delay your bedtime just to get something done, only to roll out of bed at the crack of dawn for another busy day, you’ll just be setting yourself up for a very tired (read: unproductive) day. It’s a domino effect that leaves you in a zombie-like, sleep-deprived state. Rather than staying up late, acknowledge that you need to be well-rested in order to be more productive, and give yourself the sleep that you need. You’ll be able to work much more effectively the next day. In fact, when you’re more energized, you might even be able to quickly power through all of your work, plus what you couldn’t get to because you decided to go to bed earlier the previous night. You’ve probably heard that you should say “no” more often a million times. I get it, it’s so much harder to put it into practice than it is to read about it or even think about doing it. We feel obliged to do things because we care about people and because we want to come across as dependable. Heck, sometimes we say “yes” simply out of force of habit. Is there a more experienced person available? Am I the best person for this job? Could that person easily do it themselves? Is the task personally worth my time? And, is it something I care about? You might have to give a difficult “no” to someone you care about, but freeing up more of your time for what matters will make you a more productive and happy person in the long run. A lot of people mistake tasks that are merely “urgent” as being automatically important. Examples include: responding to emails, pointless meetings, tasks that could be done way faster by someone else, etc. Sure, checking off all this busy work might make you feel more productive, but in reality, it’s sucking time away from what’s truly important. You might not be able to get out of a commitment that you’re currently trapped in, but as soon as you see that your time is going down the drain of “urgent” responsibilities, it’s a signal that you need to take action. You might have to evaluate whether those tasks can be delegated, or whether they can be eliminated altogether. This might require some uncomfortable conversations (“Hey, I think these meetings are a waste of time”), but again, you have to advocate for yourself! You might think that the saying “What you think, you become” is a lot of phooey, but you might think differently if I told you that it was scientifically proven? 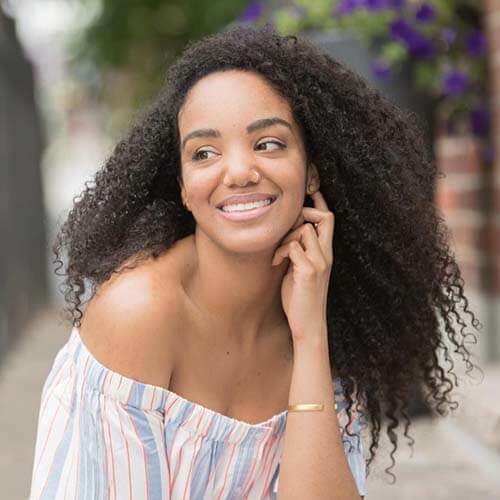 According to Healthline, positive self-talk can “enhance your performance and general well-being” as well as offer actual physical health benefits such as improved immune function and cardiovascular health! This might all seem to good to be true but the fact of the matter is that positive thoughts beget more positive thoughts which then alter your outlook on life and slowly seep into your daily attitudes and actions. Soon enough, you’ll find those positive words coming into fruition, no matter how silly you first felt when saying them. So if you’re feeling stressed, doubting your capabilities, or looking for how to get more motivated, remember that you can override this negative state of mind. You just have to put in the work. Look at yourself in the mirror and tell yourself how beautiful and powerful you are. Use your journal to gush about how excited and motivated you are for the day ahead of you. Start each day with a positive affirmation. You might have to fake it ‘til you make it at first, but hey, it works. Whatever it takes to stop negative self-talk! It’s hard to draw the line between productive preparation and excessive planning. On the one hand, clearly laying out projects, automating your routines, and batching your tasks will definitely help you to be more productive. However, there’s a certain point when you just have to take action and accept that not everything will be perfect when you start. This is often easier said than done. It’s so easy to lull ourselves into thinking that we’re being productive when in reality we are avoiding the real, actionable steps that scare us. Overplanning is a challenge we all face because it’s comfortable to just plan. If you want to be more productive, you’ll have to acknowledge this fear and remember that doing what scares you is the only thing that will bring you growth. No matter how awesome it would be if planning to go to the gym gave you the same physical benefits as working out, you will only get closer to your fitness goals if you take action on your plans. This applies to any aspect of life, so you must constantly ask yourself if there is a hidden fear underlying all of the planning that you’re doing, and then choose to move forward despite the fear. Take a moment to think about your support system—the wonderful people you have around you who care about your goals and are there to help you. There are a lot of things that keep us from reaching out to others when we’re struggling: our sense of pride, a need to be in control of everything, or the fear that we are a burden or annoyance. In these times you have to remember that even the best of us need a little help sometimes. There is absolutely nothing wrong with asking for it and you should do it before you’re in crisis mode. You can delegate tasks, team up with others, ask for advice, etc. Together, we are better *cue “We’re All In This Together” musical number*. If you find yourself mindlessly scrolling through social media once in a while, don’t feel bad. It happens to all of us (and if you are immune to the draw of the scroll, please share your secrets). It’s really hard to resist when social media companies literally employ the same methods used by casinos to keep you gambling, to keep you scrolling and consuming content. The effect of social media is similar to that of e-mail. You might spend only two minutes on Instagram, but it’ll take you much longer than that to refocus on whatever you were doing. The first step to fixing a problem is acknowledging it. So now that you know how social media is affecting your brain and hindering you on your quest to be more productive, you can make an active effort to fight it. You can turn off notifications, set time limits for social media apps, maybe even delete apps altogether, if you’re down for that. If you’re a blogger or use social media professionally, it’s much harder to disconnect. But you can task batch all of your social media activities by scheduling a set time for it and committing to productive interaction rather than mindless scrolling. You may feel the symptoms of withdrawal at first, but just think — Whether you’re trying to be more productive at school, get more done at work, or simply have more time for relaxation and tending to your relationships, start from the ground up by building yourself a solid base. 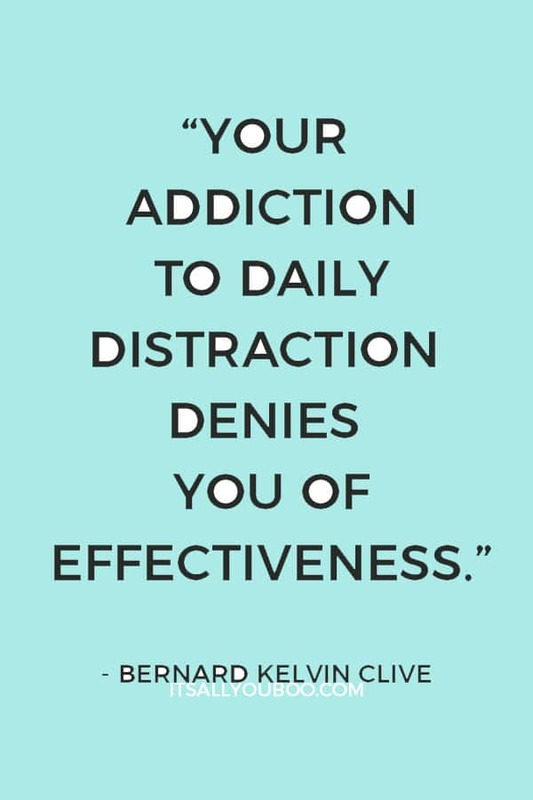 The more time-sucking habits you eliminate from your life, the more room you have for what’s truly important to you! With a spare two minutes, you can do some push-ups, close your eyes and meditate, practice a new language, or check in with someone you care about. Ready to be more productive today? 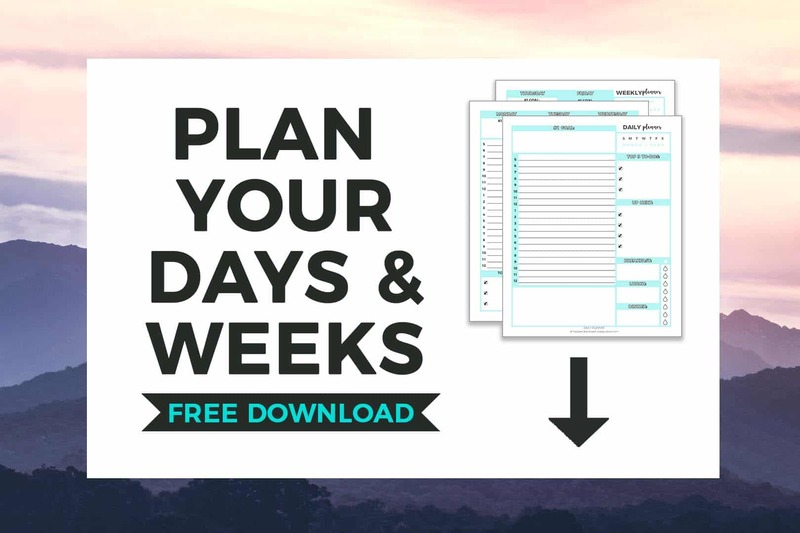 Get your FREE Printable Daily and Weekly Planners and start time blocking, task batching and using the other productivity tips and tricks you’ve learned in this post. Whether you’re trying to be more productive at school, at work, or simply have more time for relaxation and tending to your relationships, start from the ground up by building yourself a solid base. The more time-sucking habits you eliminate from your life, the more room you have for what’s truly important to you. Don’t just sit there, get started on these top productivity tips today. What do you need to stop doing to be more productive? Hello, I’m Beatrice (pronounced buh-tree-chay) from The Bliss Bean. I’m passionate about helping high-achievers like you implement simple habits. So you can live the most productive, fulfilling, and happy life possible. I love sharing productivity, mindfulness, and lifestyle tips on my blog. I’m also addicted to chocolate, an eternal optimist, and always dreaming about traveling. My pleasure! Thanks so much for writing a really fun productivity post. I love how it’s about simple things we do every day, without realizing. Totally, hahaha! Especially when you’re having fun getting everything organized and shifting things around, color-coding, formatting, etc. etc. *sigh* It’s too much fun! One thing I can say that I don’t do is checking social media all day. I check it rarely. Thankfully I’m not one of those FOMO folks. That’s awesome! I can kind of relate to that. I feel like I wouldn’t use social media much at all if it weren’t for my blog, but then when I use it for my blog I get sucked in and then it’s hard to pull away! Definitely a balance that’s difficult to strike when social media is a large part of your job/hobby. Man, the contemplating tasks and social media tips speak directly to me. I get so consumed with what I’m doing that sometimes it stops me from being my most productive self. I’m so glad you found them helpful! I can definitely relate to that feeling. I find that setting time limits for myself helps me to get things done efficiently 🙂 Thanks for reading! #5 Used to be my Achilles heel, once I had my daughter 7 yrs ago I began to refuse things, events and most importantly PEOPLE who do not enhance encourage or enrich my life. Love that!! It’s so valuable to learn the skill of saying no and choosing what’s most important in our life. Thank you for reading! Completing tasks as they arise has always worked for me. I can still put some of the other tips to use too. I think we all have different styles of working! If it works for you, by all means, keep doing it 🙂 Thanks for reading and commenting! I need to use these tips. I feel like I could definitely be more productive & efficient. I definitely could be as well, we all have room to improve! 🙂 I’m glad you found these helpful – thank you for reading! This post comes right on time for me. I am often feeling “overworked and under resourced”. 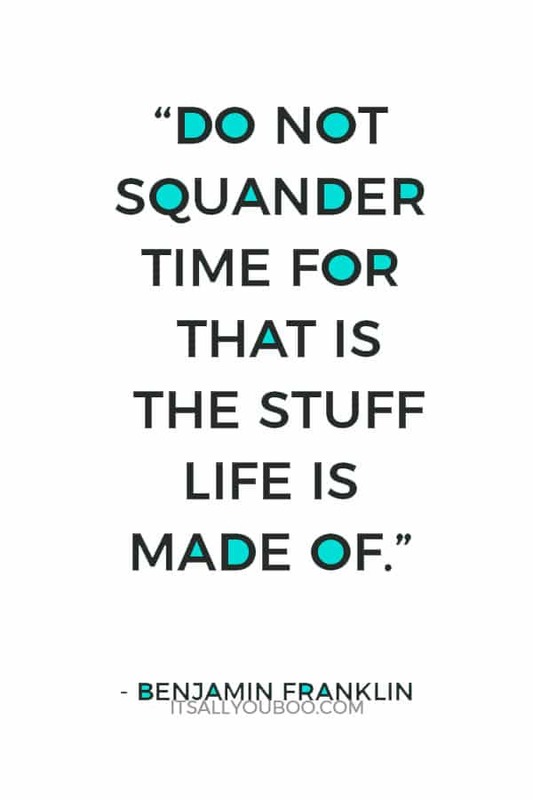 Because I am sometimes pulled in so many directions I either over work or don’t work at all due to overwhelm. These tips are helpful. These are great tips, this is an area I am always working to improve. I slowly add in more ways to do it better. I’m not where I want to be, but I’m much better for sure. I think that’s the best way to do it, is adding in habits one at a time. Slowly but surely you can make progress and become more productive 🙂 I think we all have room to improve! Thanks for reading, Mimi! These are all great tips, some of which I currently use to be more productive. One of the tips that stuck out to me was “constantly shifting your focus to do new tasks as they arrive may be harming your productivity.” This is an unfortunate habit that I need to break. Hi Elle! Totally agree that it’s really hard to stop doing that. 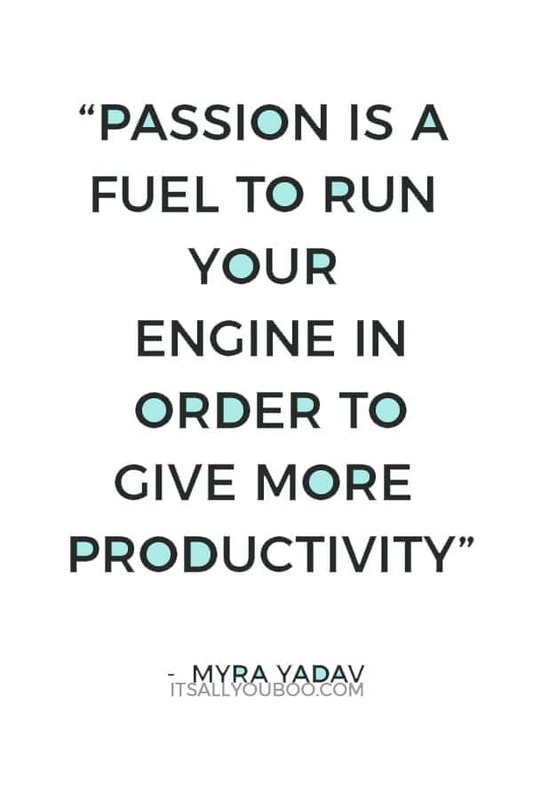 Especially when the tasks seem urgent! I find that having an organized to-do list really helps me, so that I can just schedule tasks and not worry about forgetting them if I don’t do them right away. Thanks for reading!